Split Disc on Two Squares, 2013 is one of the more architecturally inspired works by Roger Phillips that particularly recalls such iconic buildings from the 1950’s as the Eames House in Santa Monica and Frank Lloyd Wright’s John D. Haynes House in Fort Wayne, Indiana and his Thomas Keyes Residence in Rochester, Minnesota. The strong line and emphatic geometric form echo the symmetry and proportion so vital to architecture in general but particularly that employed during the 1950’s. 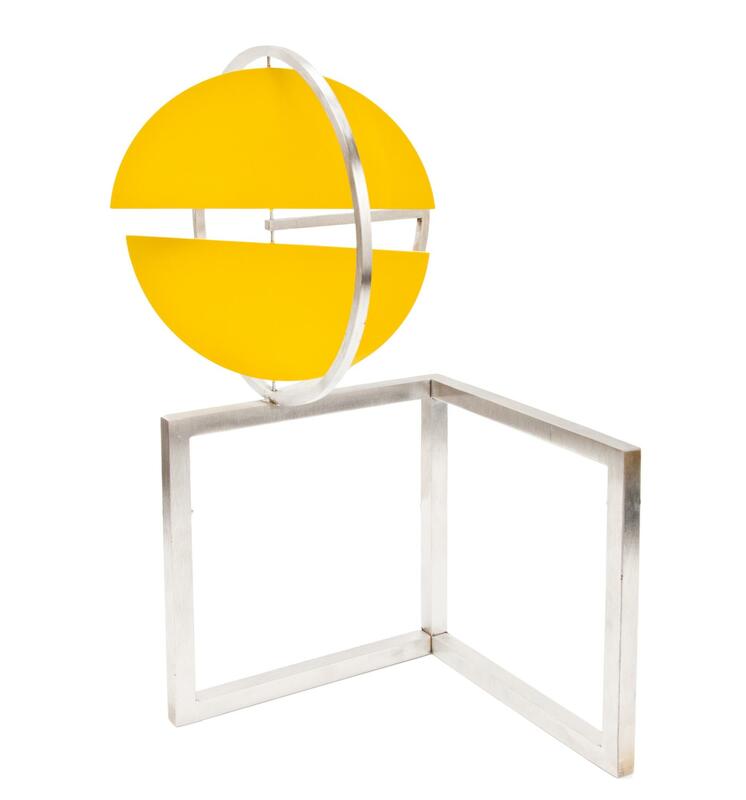 The focus on geometric shapes provides visual interest to this tabletop sculpture with its split circle painted with yellow automobile paint. The counter balance to the rigidity of the two squares is the kinetic movement of the two yellow arcs. Exquisitely crafted, these geometric shapes are beautifully suspended and rotate on ball bearings that turn. 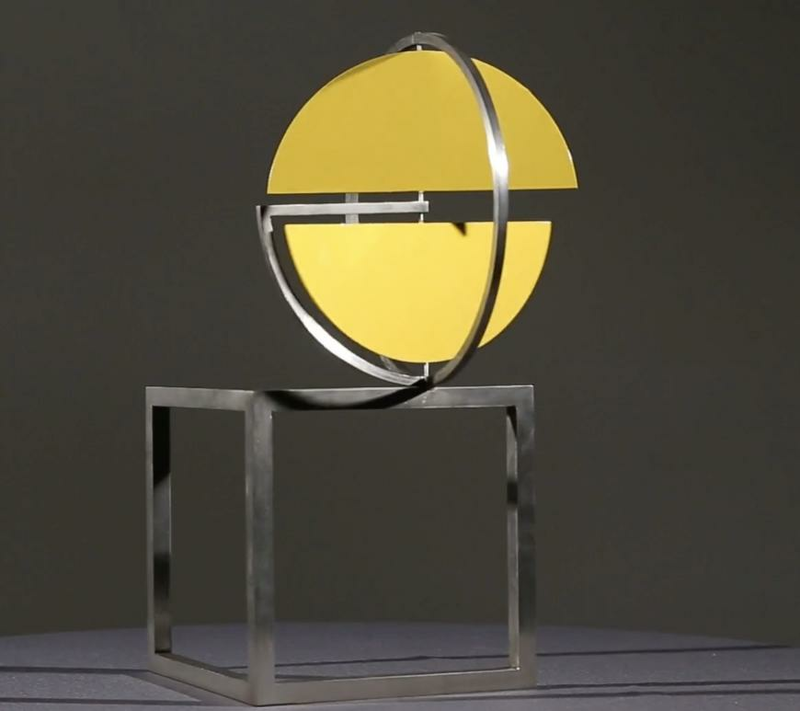 The sheer simplicity in the precision of this sculpture’s execution is sure to be enjoyed by those who cannot help but touch, turn, twirl, and then enjoy the motion.